Discover where to stay in Gran Canaria, one of the most famous and popular tourist destinations in the Canary archipelago. For years the island has enjoyed unflagging popularity, not only because of the excellent weather all year round but also for its culture, nightlife and stunning nature. 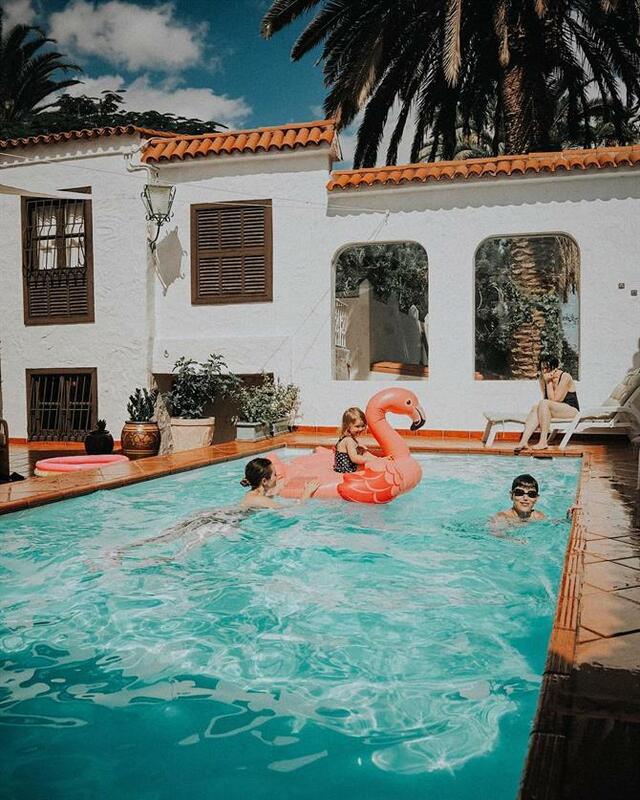 For those seeking a sunny escape, even during winter, find a holiday home to rent in Gran Canaria - 'The island of eternal Spring,' where nature lovers, culture hunters and beach bathers alike will find their perfect destination. 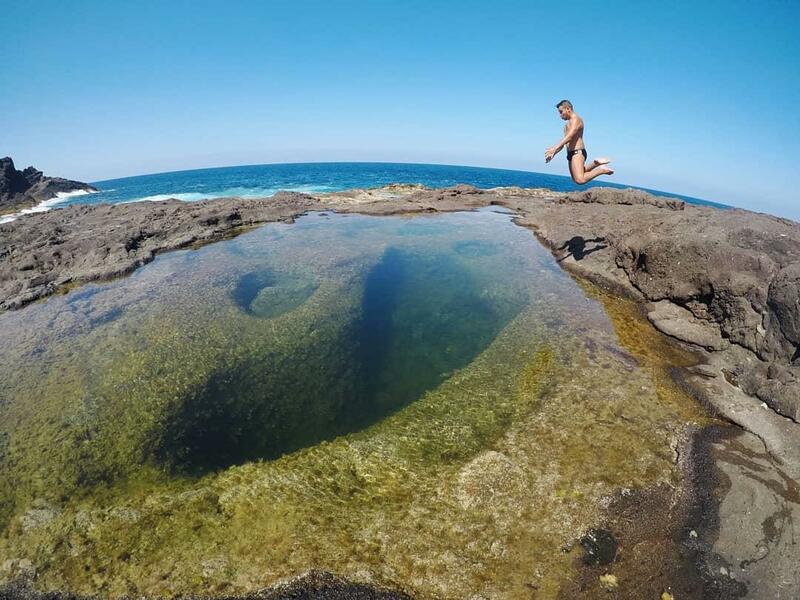 It is no wonder that families love Gran Canaria, the variety of attractions on the island makes a trip with children a real adventure with every day promising a new experience. 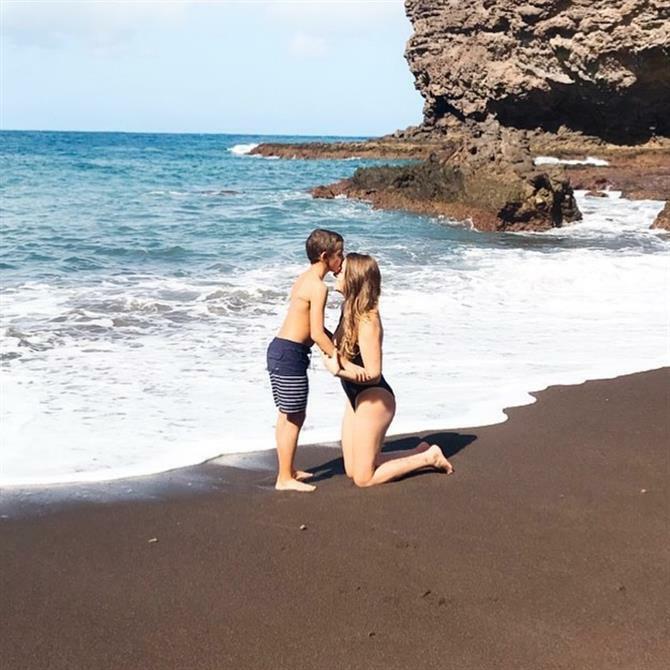 Destinations on the south of the island offer an almost guaranteed warm climate as well as long, sandy beaches ideal for a holiday in Gran Canaria with children. One of the most family-friendly places to stay in Gran Canaria is Maspalomas. Some of the villas in Maspalomas overlook the emblematic beaches on the island and are located near the biggest attraction of the area, the sand dunes. These protected dunes are famous for resembling the hot sands of the Sahara desert and were formed during the last ice age. Children will have endless entertainment climbing and rolling down them. In addition to the long, safe beaches, the town is well prepared for family tourism. Find a great variety of restaurants with Spanish and international cuisine, shops, kiosks and supermarkets. 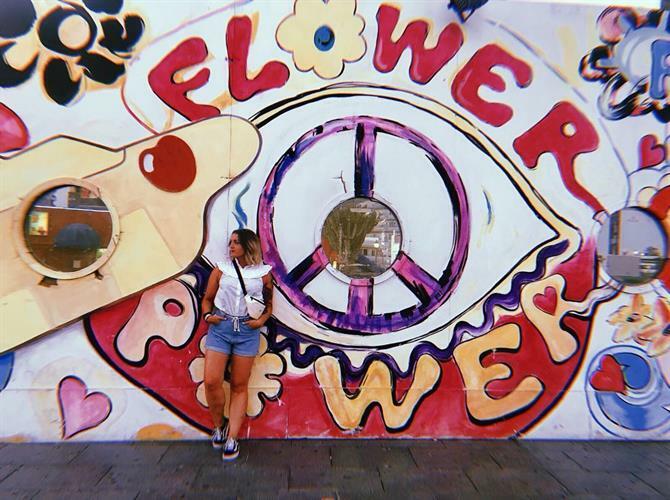 There are also several theme parks near Maspalomas, for the adrenaline seekers, spend a fun-filled day at Aqualand Maspalomas and for those who prefer an amusement park with a Ferris wheel, roller coaster and toy cars should go to Holiday World. Puerto Rico de Gran Canaria is located on the south-west of the island and is said to be the most family-friendly resort in Gran Canaria. Playa Amadores is an artificially created beach (the sand comes from the Sahara) and is one of the favourite places for a day out at the beach with children. The soft golden sand and calm waters make it ideal for toddlers and young swimmers. The beach has an abundance of amenities as well as bars and restaurants. Entertain older kids with watersports and take the whole family on a boat trip, if you are lucky, observe dolphins and whales in their natural environments. 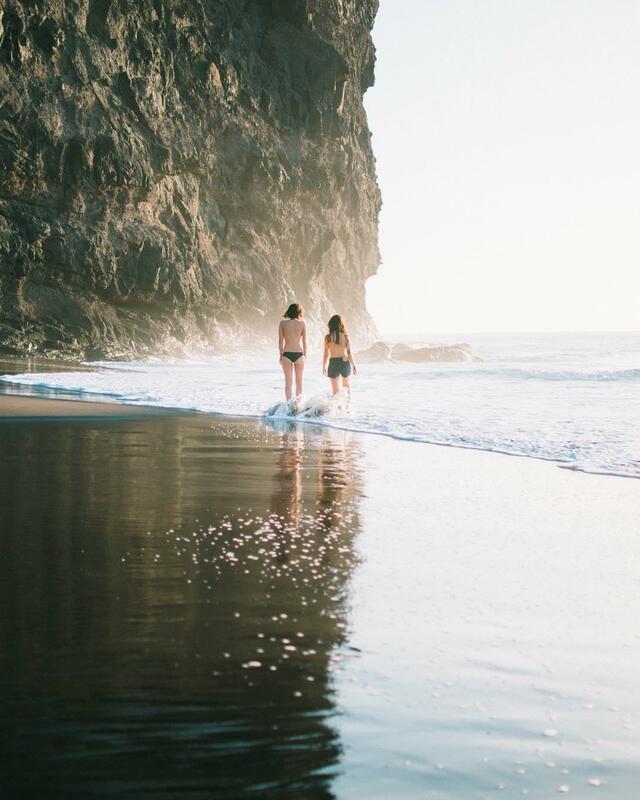 The beaches in Gran Canaria stretch over 60km of coastline and to fully enjoy the charms of the local beaches, rent a villa or apartment in Gran Canaria by the sea. Some of the best beaches in Gran Canaria are Playa del Ingles, Maspalomas and the beaches of San Agustin. 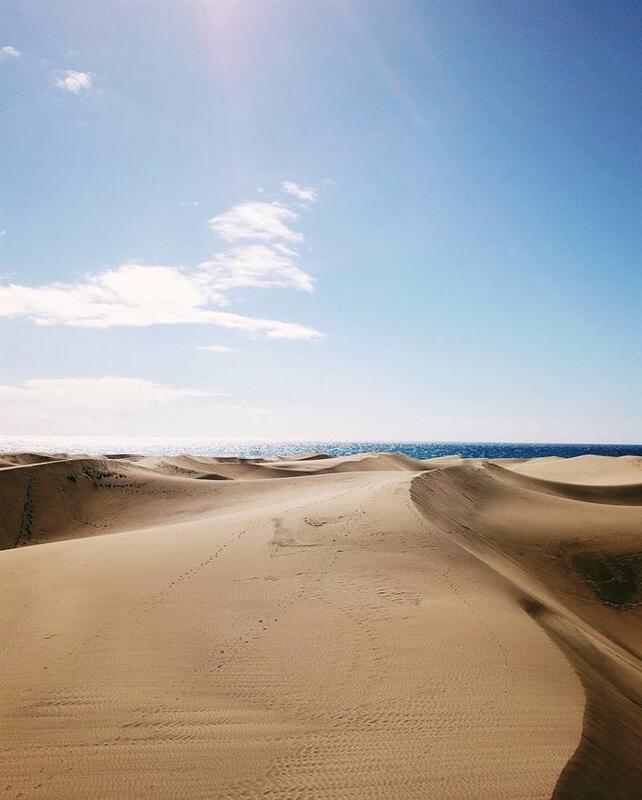 Maspalomas is in protected nature areas due to its magnificent sand dunes and some spots on these beaches are designated for nudists and practising water sports. 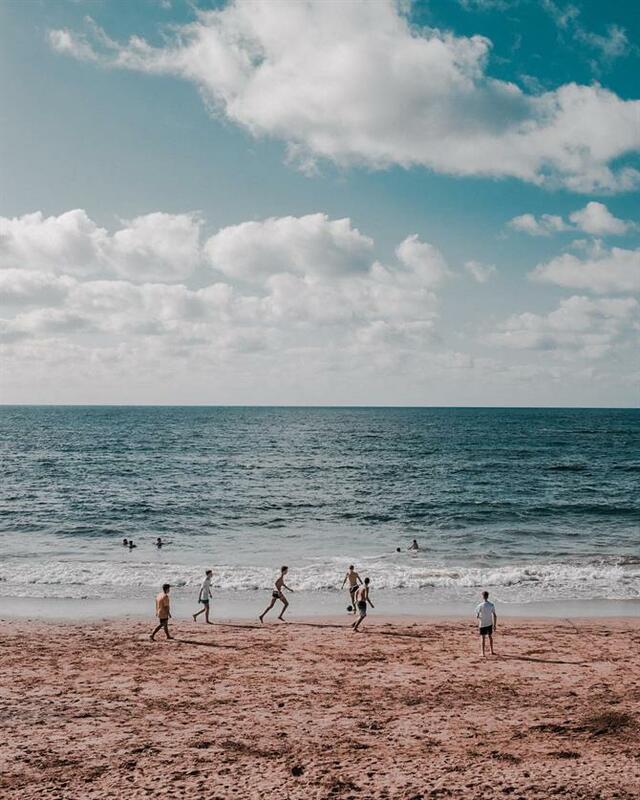 In Las Palmas - Playa Las Canteras has been named the best city beach in the world as it gets more pleasant days of good weather than anywhere else on Earth and does not experience as much air pollution as other big cities with beaches. Las Canteras is big enough to still feel wild and natural even though it is located in the centre of the city. The south end of the beach has no reef and the waves are surfable almost every day and is also ideal for windsurfers and kitesurfers due to its weather conditions and lack of dangerous rip tides. The beaches in Gran Canaria are some of the most unique in Europe, some of them are constructed with sand brought from the Sahara and others from the Carribean. 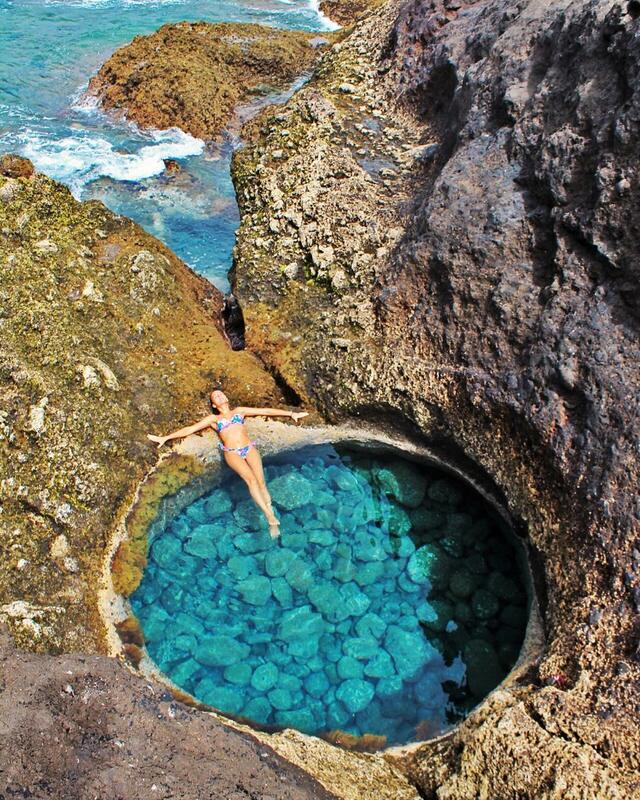 Beaches such as Puerto Mogan and Amadores have been likened to those in Puerto Rico. To enjoy these Caribbean like beaches, stay in Patalavaca, a quiet resort, with calm shallow waters and pure white sand imported from the Bahamas. For those who want to explore the more rugged beaches in Gran Canaria - head to Güigüí beach. It is not as easily accessible as the majority of beaches on the island as you can only reach it by boat or embark on a five-kilometre walking route. There are no shops or restaurants and you may find when you get there you have the bay all to yourself. Güigüí also owes its charm to the dark volcanic sand, which is reminiscent of the islands volcanic past. Gran Canaria is an idyllic holiday destination for couples. Take long walks along the seafront, have a romantic meal while the sun sets and share lazy mornings with breakfast on a terrace overlooking the sea. 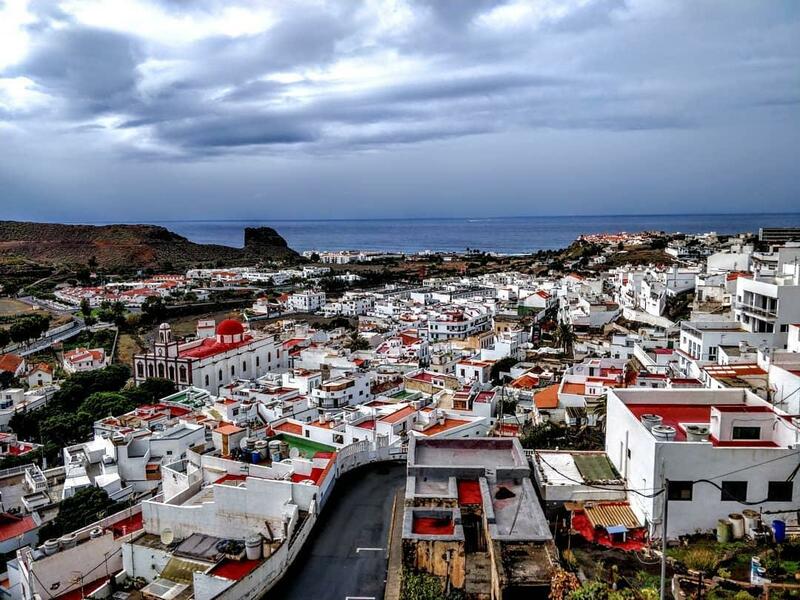 If you seek a tranquil and intimate location, consider apartments in Agaete, located in the north of the island. By law, these rustic whitewashed houses are required to have green or brown doors and shutters or white walls and blue doors in the port adding to the charm of the town. Gran Canaria is one of the few places in Europe that has a climate suitable for growing coffee. If you are staying in Agaete, take a romantic excursion to a coffee plantation farm in a neighbouring town. Finca Los Castaños offers a guided tour, during which you will learn about the process of growing and preparing coffee and the tour finishes with sampling some of their specialities. Bodega Los Berrazales is another place for couples on holiday in Gran Canaria. Not only a vineyard it also has a coffee plantation and orchards with tropical fruit. Try all the products that the vineyard has to offer, explore its history and spend a sunny afternoon wandering around the fields and orchards. 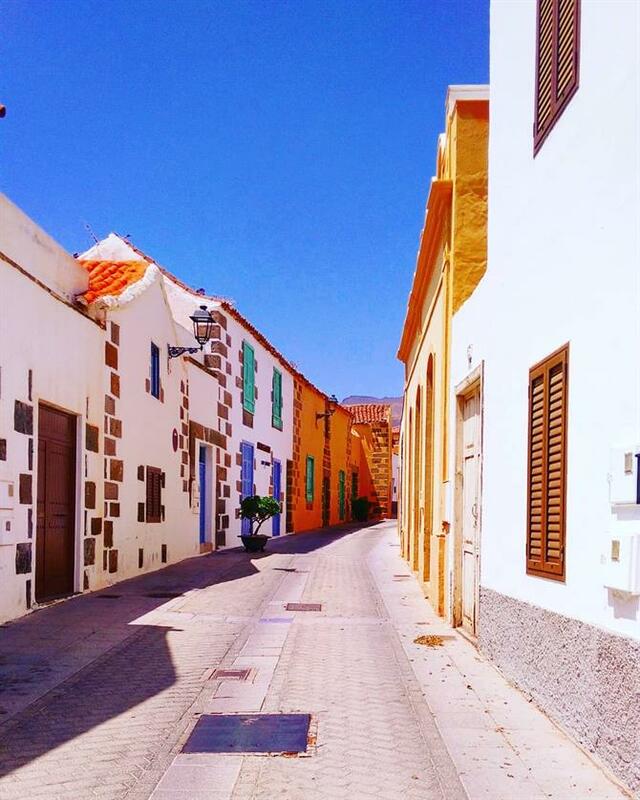 Take romantic strolls along Agaete's narrow streets with traditional Canarian architecture. Be sure to check out the botanical gardens - El Huerto de las Flores, full of lush vegetation also the perfect spot for a picnic for two. Agaete valley is the islands most rural destination, known as the 'fertile valley' its nestled amongst lush green pine trees paving the way to the sea. 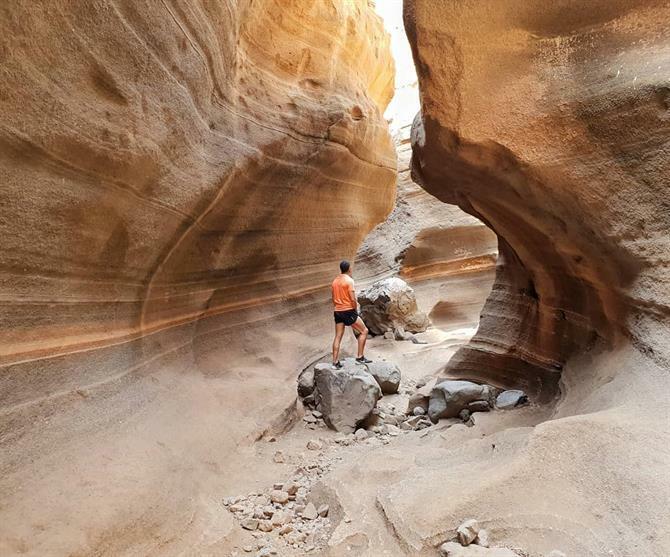 The deep valley is ideal for couples wanting to escape the crowds of tourists, disconnect and experience local life in Gran Canaria. Don't forget to stop by a rock spring and drink some of the water, the locals swear that it brings good health and longevity. 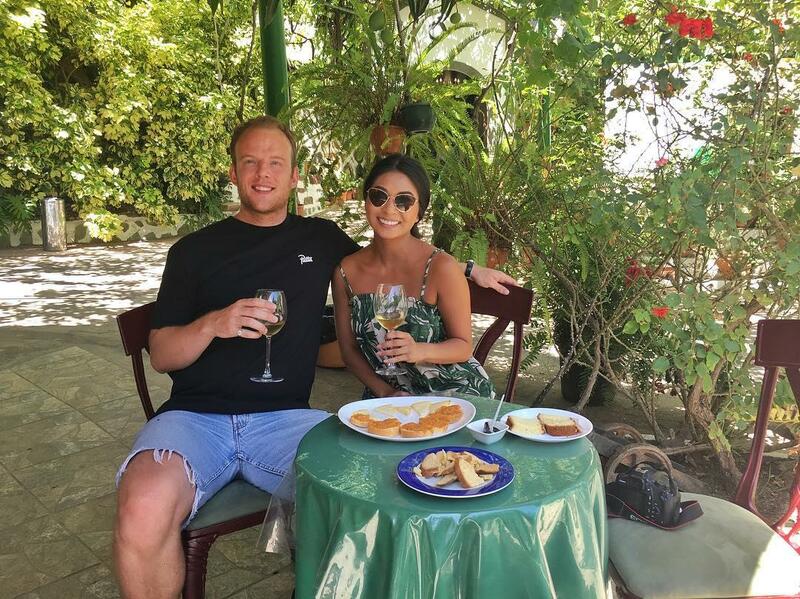 Complete your couples getaway by visiting 'Little Venice' in Puerto Mogan. 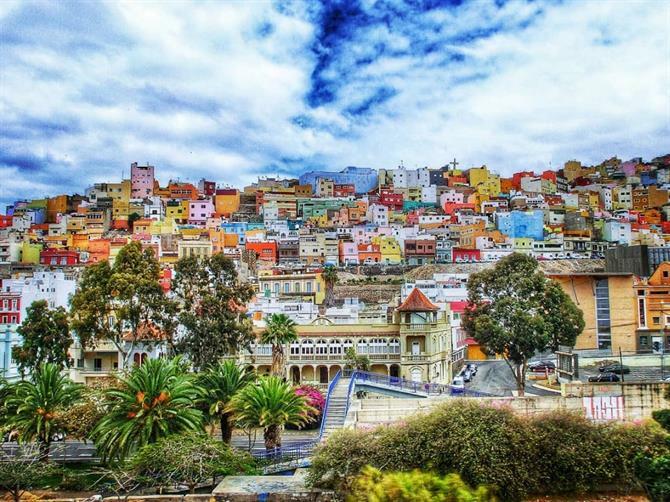 Named the Venice of Gran Canaria due to its canals linking the marina to the harbour, this little fishing village consists of narrow white streets full of colour and character. Find a romantic spot for lunch in one of the many restaurants with stunning views of the marina and pick up some typically Canarian trinkets from the market on a Friday. If you love to experience some of the local traditions on your holiday, the best place to stay in Gran Canaria for culture is Las Palmas. The island's capital has been recognised as having the best climate for a city in the world and it is full of sightseeing opportunities as well as being in an ideal location to take excursions to neighbouring towns. Wander around the oldest part of the city - La Vegueta. Pass through the streets and admire architecture from the colonial times, enter the House of Columbus (Museo Casa de Colón), where Columbus supposedly stayed when visiting the island and visit the impressive Cathedral of St. Anne. 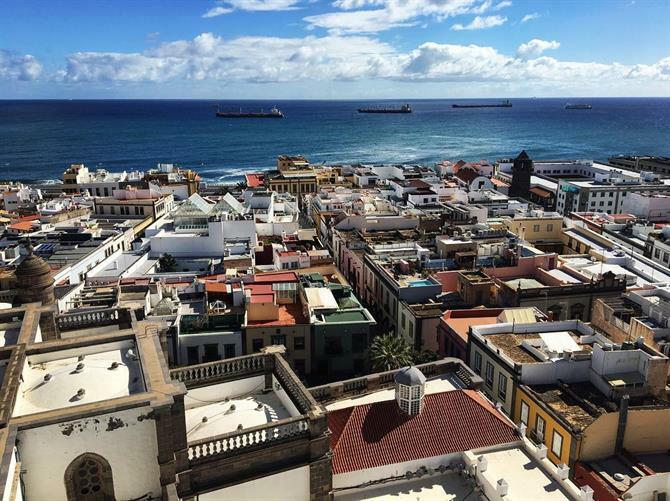 Set aside a few hours to explore the Canary Museum and learn about the foundations of Canarian culture. Whilst staying in Las Palmas, head to Triana, along with La Vegueta it is one of the oldest parts of the city. Relax in one of the pubs and try local delicacies such as 'papas arrugadas' and admire historic houses dating back to the twelfth century. If you want to immerse yourself in Canarian culture, find holiday accommodation in Aguimes - the eastern part of the island. 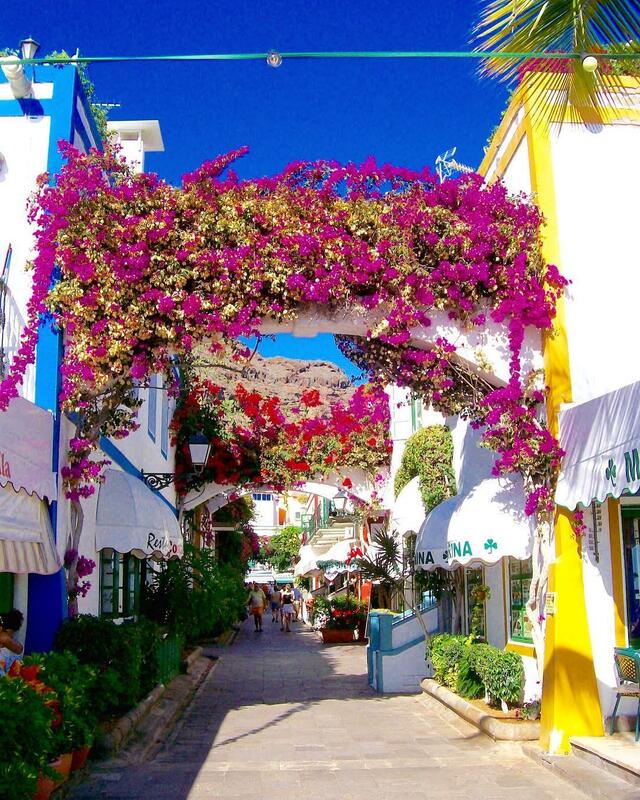 It's a great place to see and feel what life in Gran Canaria was like before tourism. The town looks like a catalogue of perfectly restored, buildings, churches and squares encouraging you to spend long afternoons with a glass of local wine in one of the traditional cafes. 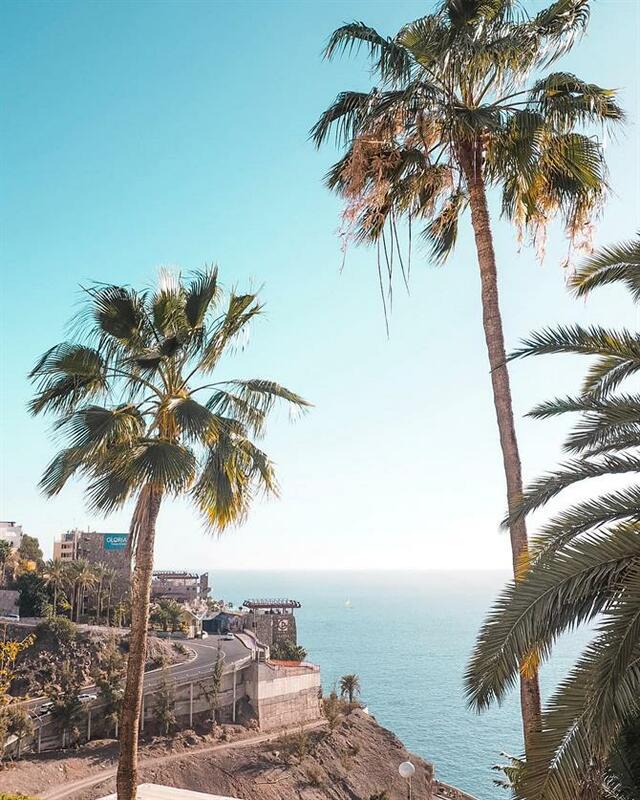 Fall in love with Gran Canaria's natural, rich landscape, with lush pine forests, mountainous ranges and breathtaking ocean views. 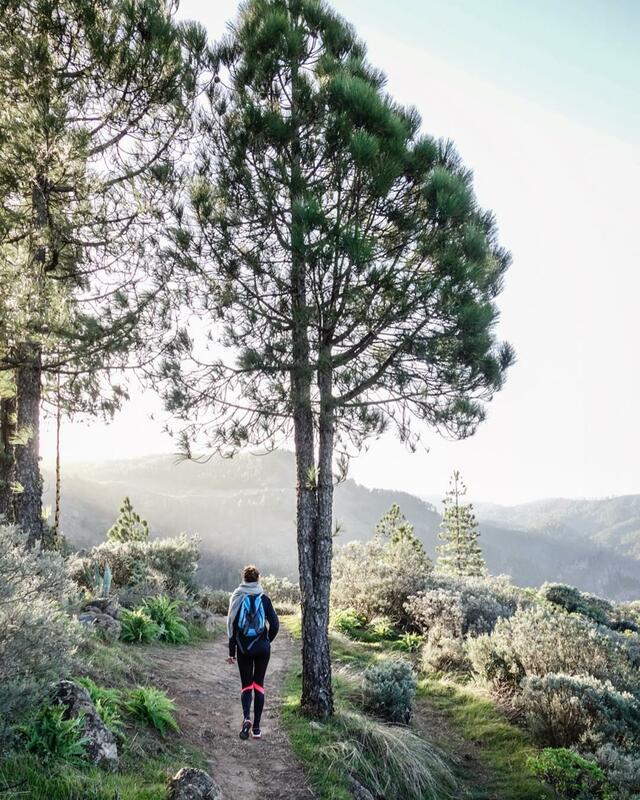 Walking in Gran Canaria has become an integral part of many peoples holiday on the island, the desire to get out into nature, breath in the fresh air and navigate the network of trails. One of the most famous and historic routes is the 'Caminos de Santiago' - the king's highways - it is still possible to cross the whole island via these tracks. After a day hiking around, head to Puerto Mogan to refuel in one of the many restaurants and cafes. In an ideal location, some of the popular walking routes in Gran Canaria begin nearby. If you want to relax and disconnect, stay in a traditional Canarian pueblo, with local taverns, bars and a somewhat sleepy atmosphere. Rent an apartment in San Bartolomé de Tirajana, which is along the Camino de Santiago hiking route and one of the best places to stay in Gran Canaria for cycling. With well-maintained roads, a pleasant climate, stunning scenery and the biggest municipality on the island, explore the impressive landscape by bike. Gran Canaria has been named as one of the best places in the world for windsurfing. Watersports enthusiasts should head to the beaches of Las Palmas de Gran Canaria and Las Canteras beach is particularly popular with windsurfers all year round. If you want to take some inspiration from professionals tackling the waves, head to Pozo Izquierdo where winds can reach up to 60mph. Gran Canaria has also been dubbed the Hawaii of Europe, with conditions ideal for surfers all year round. Constant onshore winds mean the waves can reach up to 5 metres high on the north coast of the island from Las Palmas to Gáldar. Stay in the Las Palmas for some of the best nightlife in Gran Canaria, as the largest city on the island there is an extensive offering of bars, restaurants and clubs. There is a variety of discotheques and they are full every night with locals, students and tourists. 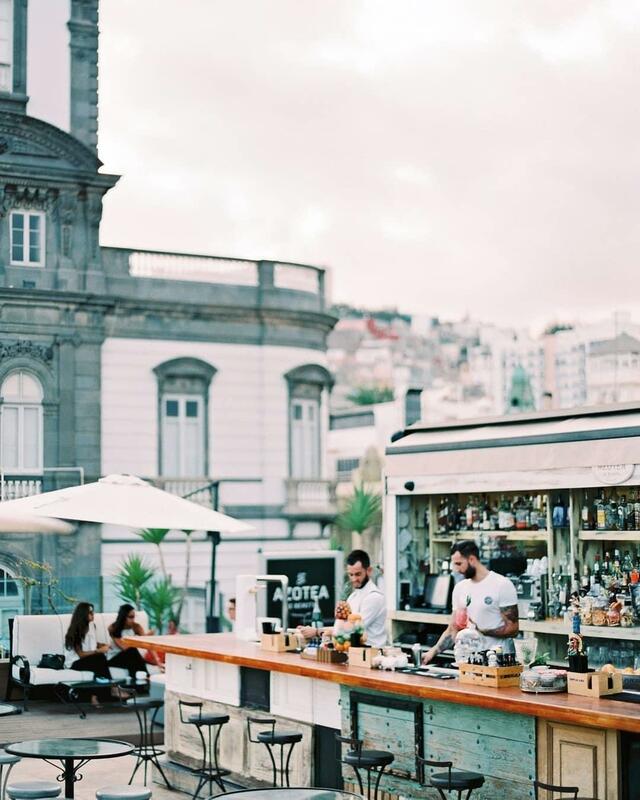 In addition to traditional bars, you will find trendy clubs, Irish pubs and live music concerts. Visit one of the rooftop bars located at the top of the tallest buildings of the city and admire the panoramic views. In the south of Gran Canaria, find the best nightlife in Playa del Inglés, Maspalomas and Puerto Rico, located only short distances from each other. Interestingly, a large part of nightlife in Gran Canaria takes place in shopping centres, which turn into huge clubs at night. Yumbo, Plaza and Kasbah are the most popular party venues, ideal if you are staying in Playa del Inglés. Find one of the one most famous clubs in the world in Playa del Ingles - the prestigious Pacha Gran Canaria. They host events throughout the year and it is worth checking their website before you go as some of their parties are ticket only. The whole of Gran Canaria is LGBT-friendly, however so if you're looking for Gran Canaria Pride events, then Maspalomas and Playa del Inglés are a great choice. 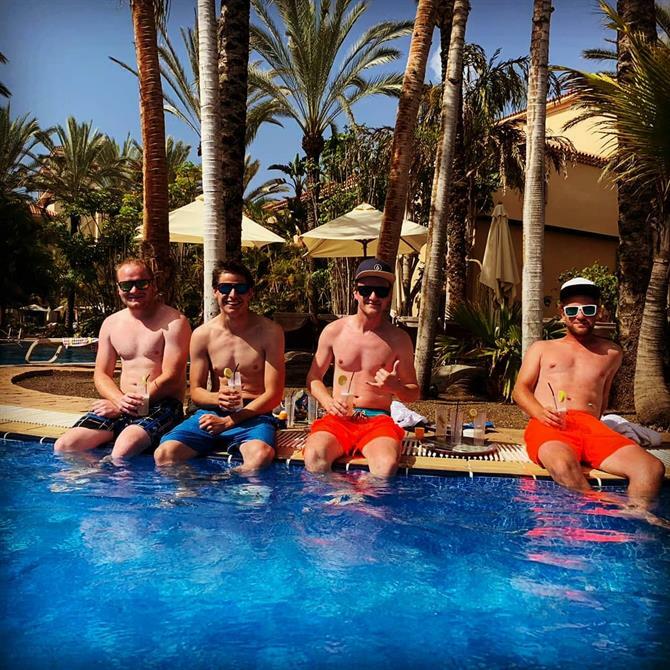 There are many options for those seeking a boat party in Gran Canaria where alcohol is streaming and some even have a jacuzzi at the disposal of party people! The most famous boat party is by MTV Pacha Party Boats, cruises are organised throughout the year every Monday, Tuesday, Thursday, Friday and Saturday. 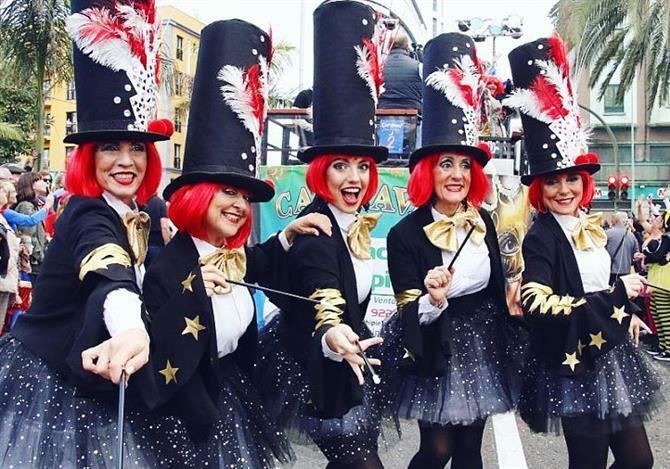 To experience a Spanish festival, head to Gran Canaria during the carnival season, the most anticipated event of the year with celebrations spread over three weeks. The colourful carnivals are full of energy and as vibrant as those in Rio de Janeiro. The main events take place in the capital Las Palmas de Gran Canaria, Maspalomas, Mogan and Galdar. Other areas all over the island also have their own festivities during this period. It is worth remembering that nightlife in Spain begins very late, the bars won't start to fill up until around 11 pm and some of the clubs won't open until around 1.00-2.00 am, so pace yourself and party until sunrise.